Virtual reality keeps trying to find a breakthrough product that will make virtual reality popular with the masses. Beyond niche applications like NASA using virtual reality tot rain astronauts, most people can’t see a need for virtual reality beyond games so that’s why someone made a virtual reality game involving cats. The game involves sorting cats and looking for defective ones. The goal is to find the defective cats and remove them before they can make it out of the cat factory. 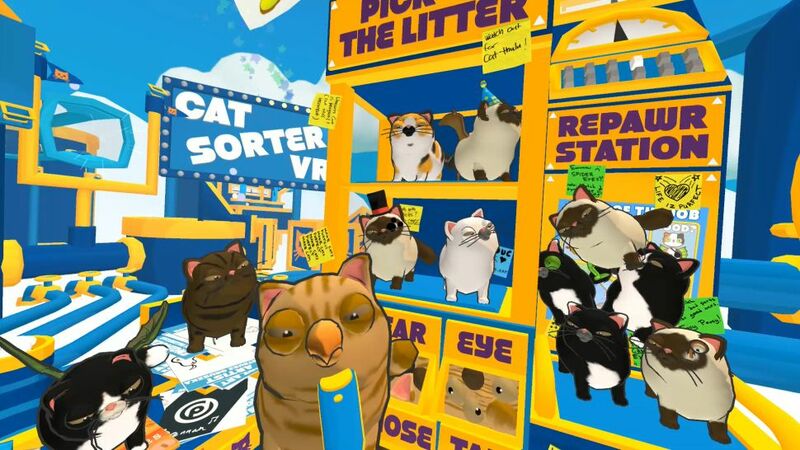 If this sounds like a compelling use for virtual reality that will get everyone to buy a virtual reality headset, then perhaps this Cat Sorter video game might be a trendsetter. To read more about the virtual reality cat video game, click here.